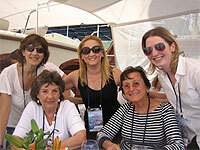 Welcome to our yacht charter COMMUNITY pages. 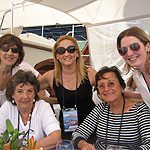 Yes, our’s is a real community of real people who are engaged in the business of providing you and your family and friends with the greatest yacht charter vacation experience in the world. Yacht owners, management companies, owners reps, clearing houses, crews, brokers, agents, and of course YOU, the client are all members of this tight little community that comes together like the links in a chain, to give you the best possible experience with a minimum of hassle. There’s something here for everyone, in-depth blog articles on relevant topics, social feeds, environmental issues affecting the industry, reviews and notes from customers, and of course, the inevitable FAQ’s that always help. If you need a real person on the line, we are always available via live chat and of course by phone, so give us a shout if you have a question, no hard-sell stuff here. We answer questions, hopefully with straight answers based on our 15 years experience in the industry at all levels. We have included some of our better customer references as well, since these provide us with bragging rights and will hopefully influence other potential clients to risk their hard-earned dollars by allowing us to help plan their yachting vacation. There are the inevitable FAQ’s that, believe it or not actually do reflect what customers ask us over the phone or in emails, tweets and facebook posts. Please take the time to flick through the yacht charter community pages, you’ll probably find something of value.